This paper provides a comprehensive survey of the results of phytocoenological research into Alnus incana forests from the alliance Alnion incanae in the Dinarides. Stands from the south-eastern Dinar-ides (Alnetum incanae = Oxali-Alnetum incanae) were analyzed and compared with those from the north-western Dinarides (Lamio orvalae-Alnetum incanae). The comparison reveals significant differ-ences in the floristic composition and in the degree of differentiation – and particularly in the presence of the species of the Illyrian floristic geoelement. Focus was placed on the area of western Croatia where a geographic variant of Helleborus dumetorum (VUKELIĆ et al. 2012) had previously been de-fined within the association Lamio orvalae-Alnetum incanae. Two of its subtypes, Salix alba and Alnus glutinosa, were determined in our research. The former subtype thrives on occasionally flooded, moist sites, where the floristic composition is dominated by hygrophytes. The latter subtype grows on elevat-ed and drier terraces and is richer in mesophilous species from the surrounding zonal forests. A floris-tic-sociological comparison of the Lamio orvalae-Alnetum incanae with the related syntaxa indicates the presence of about fourty diagnostic species which accentuate its independence and the need to assess it at the level of an independent, regional association within the alliance Alnion incanae. Quantitative descriptions of natural disturbance regimes are lacking for temperate forest regions in Europe, primarily because a long history of intensive land-use has been the overriding driver of forest structure and composition across the region. The following contribution is the first attempt to comprehensively describe the natural disturbance regime of the dominant forest communities in the Dinaric Mountain range, with an emphasis on the range of natural variability of regime components for the main disturbance agents. Compared to other forest regions in Europe, the mountain range has a history of less intensive forest exploitation and provides a suitable record of natural disturbance processes. Our synthesis is based on multiple types of evidence, including meteorological information, historical documentation, evidence from old-growth remnants, and salvage logging data from National forest inventories. Taken together, the results show that no single disturbance agent dominates the regime in the dominant forest types (i.e. beech and mixed beech-fir forests), and any given agent exhibits remarkable variation in terms of severity and spatial extent both within and among individual disturbance events. Thunderstorm winds cause the most severe damage (i.e. near stand replacement), but blowdown patches are typically limited to stand-scales (e.g. 10s of ha). Ice storms and heavy snow typically cause intermediate severity damage and affect much larger areas (e.g. 100s of km2). A notable exception was the 2014 ice storm, which was nearly an order of magnitude larger and more severe than any other event recorded in the synthesis. Severe and prolonged periods of drought have occurred several times over the past century, and along with secondary insect damage (e.g. bark beetles), have caused episodes of forest decline. Overall, our synthesis indicates that on top of the background of relatively continuous gap dynamics, stand-scale intermediate severity events are an important part of the regime; these events likely have rotation periods that are less than the lifespan of a tree cohort (e.g. several centuries) and create canopy openings large enough to alter successional trajectories. In the last few decades, in Europe as in rest of the world, the interest in the long-term and extensive monitoring of forest ecosystems has intensified. 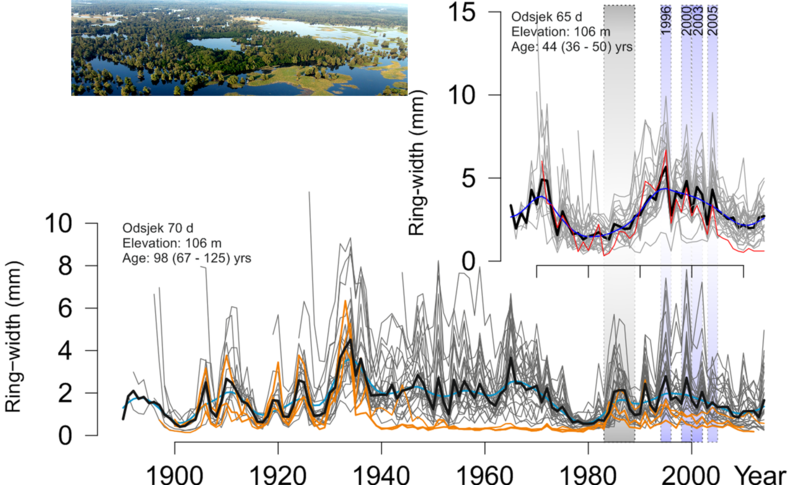 The reason for this is the lack of original, reference and long-term series of data necessary for the evaluation of anthropogenic impact in relation to natural variability. 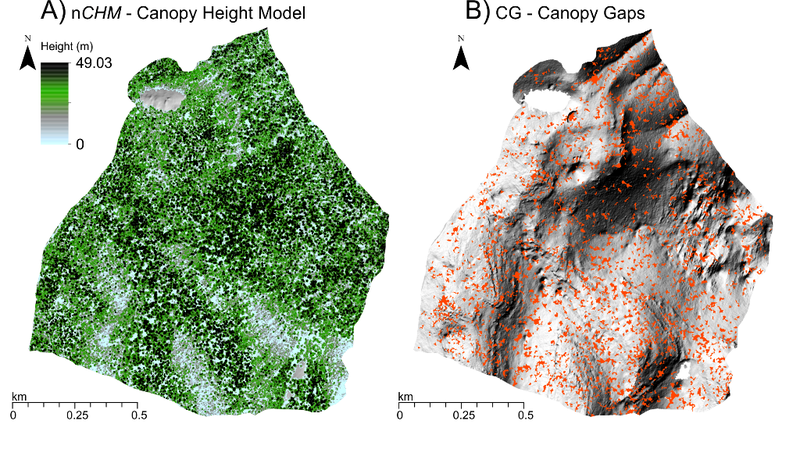 Old-growth forest reserves are recognized as the reference state of naturalness whose monitoring, together with monitoring of other non-economic forests, provides valuable information that helps explaining the natural dynamics and variability of ecosystems. Croatia, in comparison with most Central European countries, has a relatively natural forest ecosystems in terms of species composition, structure and function. There are number of valuable forest areas with characteristics of a natural old-growth forest.The project aims to consolidate knowledge and establish a long-term interdisciplinary research with one common goal – understanding and monitoring the dynamics of forest ecosystems. The project is designed on two levels of intensity: 1) extensive monitoring-EM (I) and 2) intensive monitoring-IM (II). EM would result in the 50-60 plots across the Croatia while five of the most representative old-growth forest sites will be the object of IM. The results of this monitoring will be the piece in the European puzzle, but very important to the global understanding of the functioning of natural forest ecosystems. Continuous monitoring and experimental research plots are certainly the best legacy for future generations of scientists, who will with ever evolving technology and methods be able to improve understanding of the complex dynamics of forest ecosystems and thereby contribute their knowledge and ultimately preservation.